Carmel Cloran, now retired, was formerly Lecturer in English Language and Linguistics at the University of Wollongong. How does one’s grammar depend on one’s conception of language? 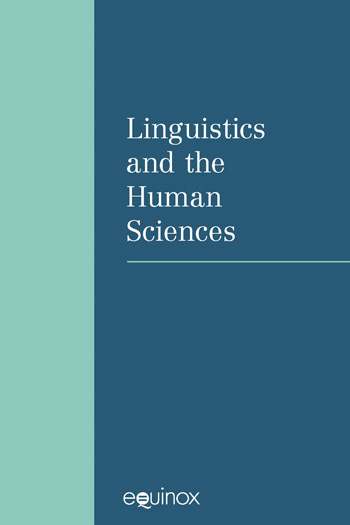 In systemic functional linguistics, language is viewed as a meaning potential, thus embracing the view, now supported by contemporary theories of the evolution of human consciousness, that language has evolved in the living of life in society. 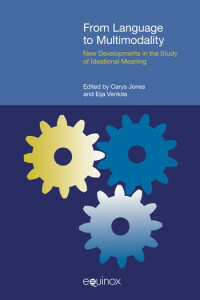 Using the theoretical framework of systemic functional linguistics, the chapters of this book explore the nature of language, the relations of meaning and society, of form and meaning, and of grammar and lexis. Halliday has referred to the level of lexicogrammar as the powerhouse of language: this is where the resource for creating linguistic meaning resides. But language as resource cannot be adequately described as a set of syntagmatic structures; instead, the primary focus must be on the paradigmatic axis, which after all furnishes the principle for the actualisation of syntagms. Accordingly, aspects of Urdu and English semantics, grammar and lexis are presented here in terms of systemic options, realised as structures. Originating out of the demands we make on it, whether trivial or enormously momentous, language both shapes and reinforces the intersubjective reality within which we live, work and play. Casual conversation between mother and child provides the environment within which reality is spun out of language. Besides being purposeful, speaking is also a potential. This paper shows the variation, the potentiality, the synchronic oscillation, of the sign structuralism. Following Firth in rejecting Saussure’s langue/parôle dichotomy, Hasan argues that potentiality in language is always limited by who we are, how others see us, what rights we enjoy, what obligations we carry. In other words, the potentiality of the sign is actualized within a social context. The appliability of Systemic Functional Linguistics derives from its ability to show how language works in context of situation. This ability arises from the pursuit of a viable conception of the sign such as Saussure’s to its logical end, renders SFL capable of being used to help solve any problem that implicates language in any social activity. 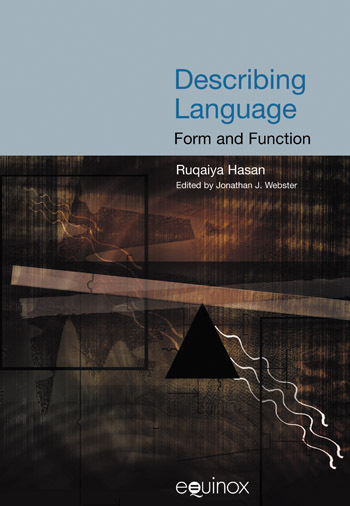 Taking issue with the more mainstream view of pragmatics that accepts the validity of competence as universal syntax, Hasan instead argues for a pragmatics with social semiotic perspective which attends to systemic features of the phenomena it seeks to describe. From the social semiotic perspective, linguistics is concerned with the study of language as defined in relation to its users. Reference to “choice” in SFL theory has no concern with individuality, freedom, will or all those other qualities that dictionaries assign to the act of choice. Rather “choice” is being used metaphorically to explicate the inner workings of language. Choice, system and realization together represent one critical aspect of the semiotic mechanism whereby the linguistic sign comes to have some conventionally shared meaning in speech fellowships. Halliday’s quote ‘The grammarian’s dream is … to turn the whole of linguistic form into grammar, hoping to show that lexis can be defined as “most delicate grammar” ’ (1961: 267) is the basis for arguing for an uninterrupted continuity between grammar and lexis. Realizing the grammarian’s dream of lexis as “most delicate grammar” requires extending the delicacy of each of the four lexicogrammatical networks, each specified by one of the four metafunctions – experiential, logical, interpersonal and textual – so as to turn it into a device for the description and generation of units of form called “lexical item”. A lexical item does not have a mysterious, sui generis existence, and the task of grammar vis à vis lexis is not simply to determine the syntactic classification of items. Rather the meaning of a lexical item is constructed by the grammar. The word pairs “lend” and “borrow”, and “sell” and “buy”, illustrate Hasan’s point that they mean what they mean because of the way they are used – because of the constructions in which they appear. In terms of the relationship between meaning and form, the semantic level is dynamic, providing input to be mediated through the lexicogrammar before subsequently being realized as a string of meaningful noise. This view of semantics puts meaning before the actual selection of the set of meaning-encoding categories, structures or symbols; at the same time it claims by implication that the only linguistic level capable of handling the notion of meaning in language is that of semantics. This chapter describes some of the transitivity choices applicable to some Urdu clauses. The deep structure of a language is stated in a series of ʻsystem networksʼ. The origin for each system network is a constituent type; thus in Urdu, there is one set of system networks for clause, one for group and another one for word, but none for the sentence since so far it has not been possible to establish sentence as a constituent type. The aim of this paper is to provide a description of the semantics of the Urdu verb honaa (to be). Although the examples are taken from the educated variety of Lakhnavi Urdu, the conclusions should be applicable to all the social varieties of the language as spoken by the native speakers of the language in Uttar Pradesh (India).